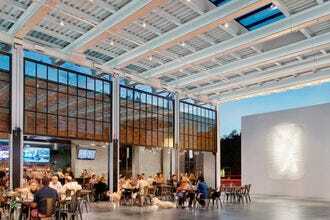 Nestled between Uptown, Lower Greenville Avenue and the town of Highland Park, lies the trendy Knox-Henderson neighborhood, a pedestrian-friendly area teeming with restaurants options that span the globe. Whether it’s brunch, lunch– or any type of dinner you can think of, the Knox-Henderson corridor dishes up deliciousness at every turn. A good place to start sampling the street's eats is at the Highland Park Soda Fountain, a Dallas institution that's been serving griddled sandwiches and malted milks since 1912. For those who want to experience the French cafe culture without leaving the country, Toulouse Cafe offers street-side table service and a fabulous menu of Gallic treats. 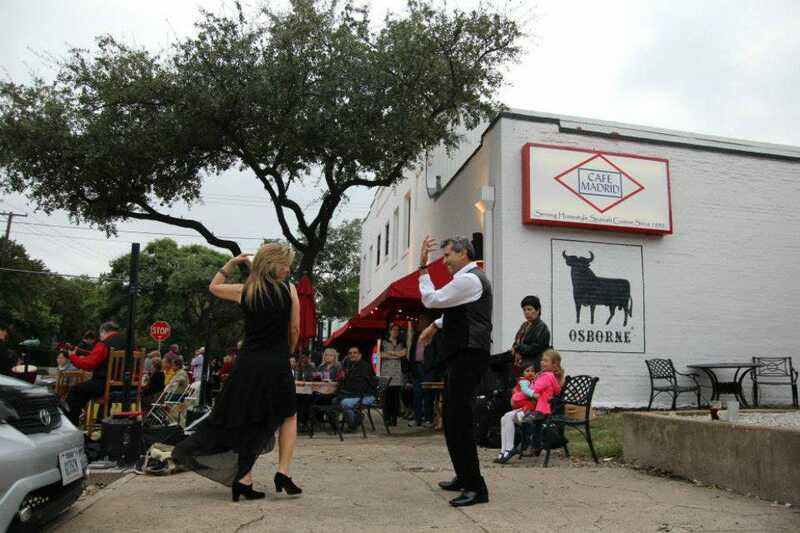 Area Hispanophiles like Cafe Madrid for its authentic Spanish tapas and live flamenco music. Craving homemade pastas and pizza? 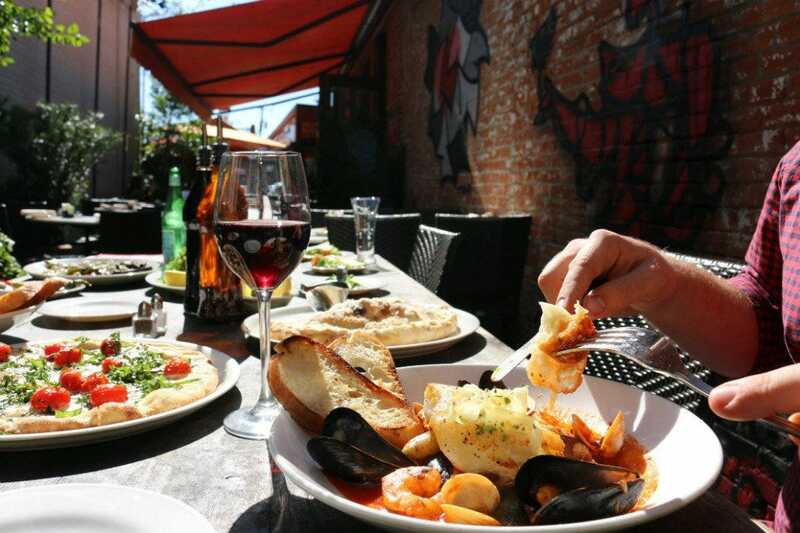 Then stake a claim on the patio at Taverna. More culinary gems can be found on Henderson Avenue. First up is Tei Tei Robata Bar, a popular Japanese restaurant that serves robata specialties and meticulously prepared sushi. 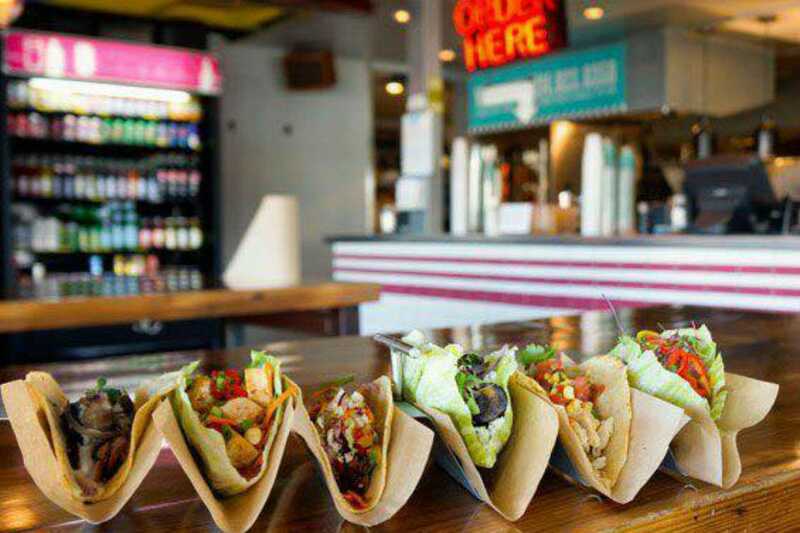 If you're in the mood for something more casual, check out Velvet Taco, a gourmet taquería that cranks out killer tacos filled with everything from crispy tikka chicken to shrimp and grits. And for when the night calls for something special, there's Gemma, a Napa inspired restaurant showcasing sensational seasonal cuisine and a terrific late-night menu to boot. Need more inspiration? 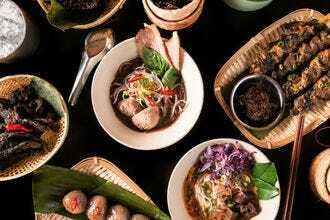 Keep reading, you're sure to find the perfect restaurant to suit both your taste-buds and budget. A visit to Knox Street isn't complete without a stop at this neighborhood institution, which has been serving griddled sandwiches and malted milks to generations of Dallasites since 1912. It's even a favorite lunchtime spot for former first lady Laura Bush. The place was originally named the Highland Park Pharmacy, but the shop discontinued its drugstore operations in 2012 and changed its name to Highland Park Soda Fountain. Otherwise, nothing much has changed. 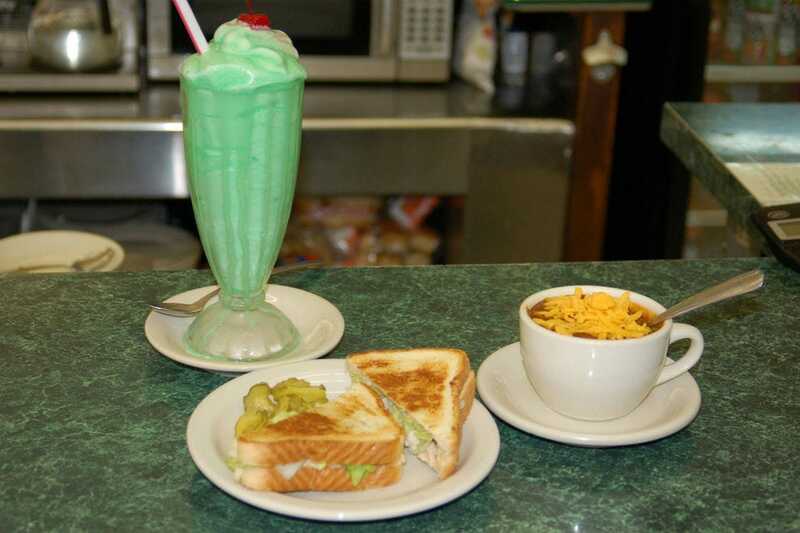 Patrons still perch at the counter on swivel stools and soda jerks still crank out everything from classic sandwiches to phosphates, shakes, floats and delicious ice cream sundaes. Have a hankering for tacos? 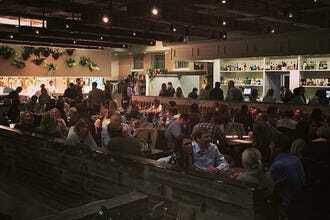 Then you can't go wrong with this cult taco joint whose following even includes several of Dallas' most renown chefs. Here, you can dig into around twenty different taco options, ranging from spicy chicken tikka and ahi poke tuna to Nashville hot tofu. While tacos may be the main draw, don't overlook the side dishes. The crispy tots loaded up with two cheeses, bacon and fried eggs are epic. And that goes ditto for the elote corn. Craving a late night snack? No problem, Velvet Taco stays open until 2 a.m on weekdays and until 5 a.m. on weekends. 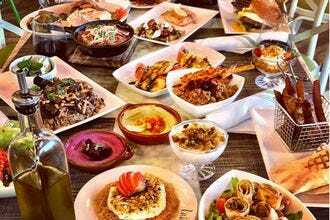 If you're looking for lively atmosphere, great food and friendly service, then look no further than this Mediterranean-inspired bistro which has been churning out some of the city's best Greek specialties since 1994. 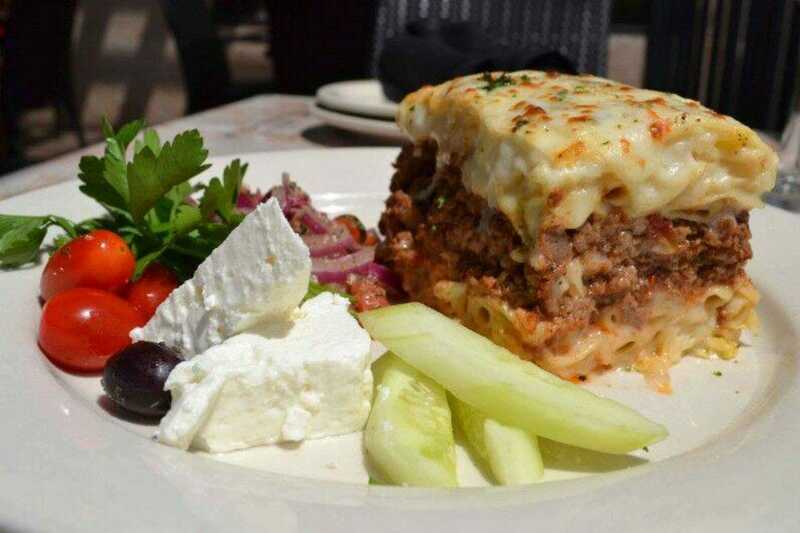 The menu includes mainstays like souvlaki, spanokopita, moussaka, gyros and saganaki as well as Greek-style tuna tartar, paella and grilled fish. But the best time to hit this spot is during weekend brunch when you can snag an unlimited Greek buffet of breakfast and lunch options plus mimosas and champagne for around $25. Now that's what we call a sweet deal. Speaking of sweet, don't leave without trying the baklava ice cream cake. 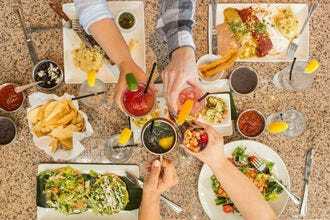 The folks behind this popular brasserie have created a mini-empire off their take on Pan-Latin specialties, operating several locations throughout the metroplex. The menu offers up everything from Argentinean empanadas and unique sandwiches served on Peruvian pan de yema to street tacos and tequila-guava baby back ribs. And the Latin vibe doesn't stop with food, the libations (think mojito martinis, South American wines and hand-crushed limonadas) are tasty too. If you've got a serious sweet tooth, you may want to skip the meal and just come for dessert and a café mocha. The cuatro leches cake, smothered in caramelized Swiss meringue--is legendary. Also legendary is the weekend brunch. Just make sure to call ahead and add your name to the wait list to avoid the line. With its fin-de-siécle decor and all the de rigueur trappings of a proper bistro--Café Toulouse would sit just as comfortably on the Left Bank of Paris (or perhaps in the center of Toulouse) as it does in Dallas. From weekend brunch to all-day lunch and late night dinners--the menu encompasses all the Gallic classics, from charcuterie, steak tartar and croque monsieurs to frog legs, duck confit and bouillabaisse. The mile-high chocolate soufflé is also a must, be sure to order it in advance. Do try to snag a seat on the terrace-- it's the best spot to catch all the action along the Katy Trail. This rustic Italian gem is massively popular, and for good reason: the prices are reasonable and there's something on the menu for just about everyone, including gluten-adverse diners (yes, they do gluten-free pizza and pasta too). 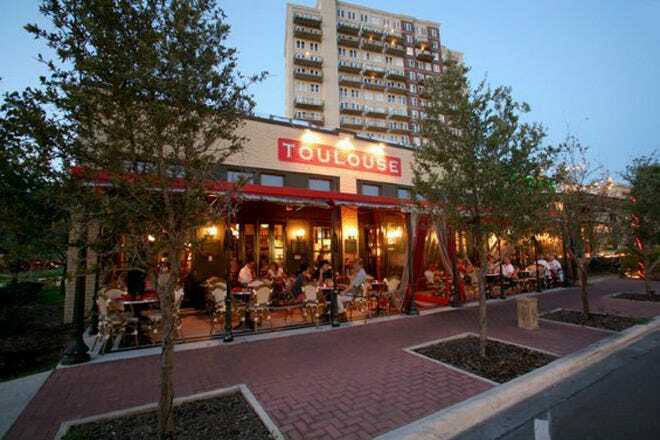 The restaurant is part of a burgeoning empire by long-time Dallas restaurateur Alberto Lombardi, who also has Toulouse Cafe next door. Risotto (offered up in six different variations) is a specialty as are the wood-fired pizzas. 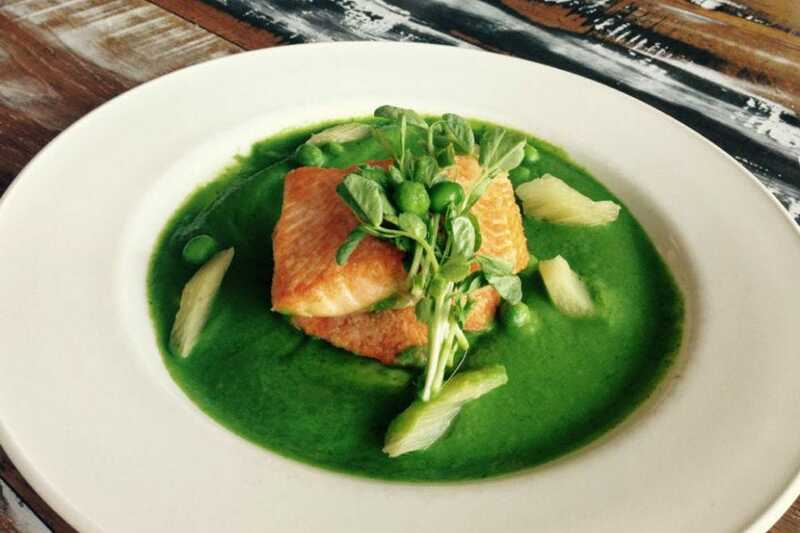 But the menu also covers everything from top-notch antipasti to housemade pastas, beef tenderloin and pan-seared fish. 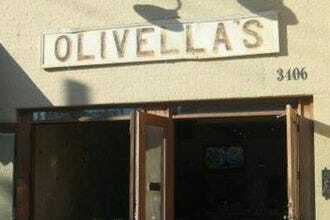 Whatever you do, be sure to start with a focaccia and end with the homemade cannelloni or tiramisu. For over twenty-five years, this endlessly buzzing tapas joint has been the destination of choice for area Hispanophiles. However, the downside of its unceasing popularity means there's usually a wait. 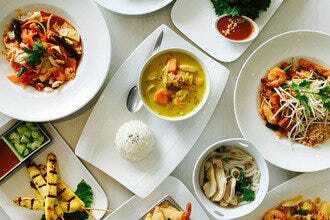 The upside is that the atmosphere is always lively and the food is always superb. The tapas list offers plenty of tasty choices, from classic faves like patatas bravas and tortilla española to specialties such as Andalucian meatballs and grilled ribeyes topped with blue cheese. Equally sensational is the paella, though you'll have to order it 24-hours in advance. To drink, there are sherries, beers, house-made sangria, and an all-Spanish wine list, many of which can be had by the glass. Finish on a sweet note with the crema catalana--it's to die for. One of the most recent arrivals to the neighborhood is this causally-chic brasserie by the owners of neighboring restaurant, Le Bilboquet. 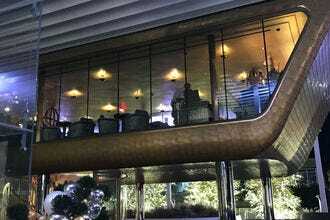 The offerings cover California-inspired French hits (think: steak frites, salmon rillettes, beef tartar) as well as seafood specialties, ranging from lobster club sandwiches to deconstructed Po' Boys and grilled fish. There's even a caviar menu and a raw bar, featuring everything from oysters to crudos and Maine lobster. 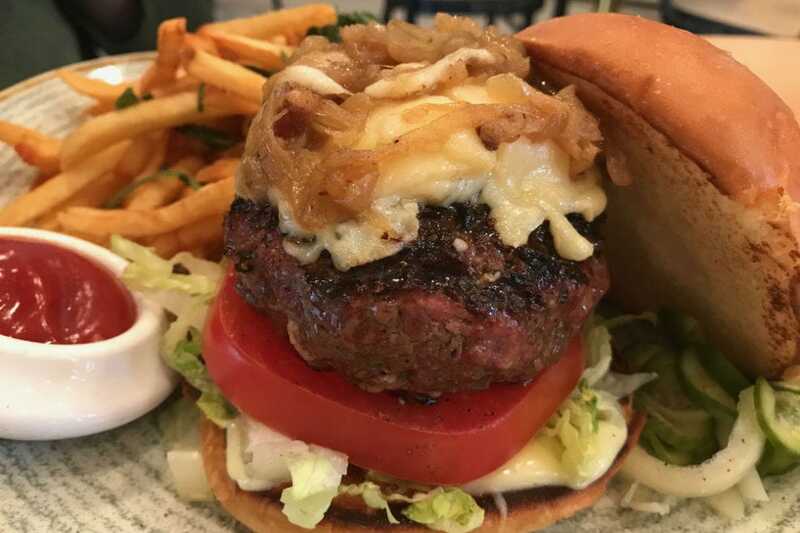 Speaking of indulgences, the place cranks out a ridiculously good burger. And the wine list, with around thirty selections available by the glass, including Dom Perignon and Krug�– isn't too shabby either. Oh, and it's also open for breakfast and weekend brunch. Scrambled eggs with caviar? Now you're talking. This Henderson Avenue Japanese joint, tucked in behind a zen garden, has a reputation larger than its compact-sized digs. And understandably so. 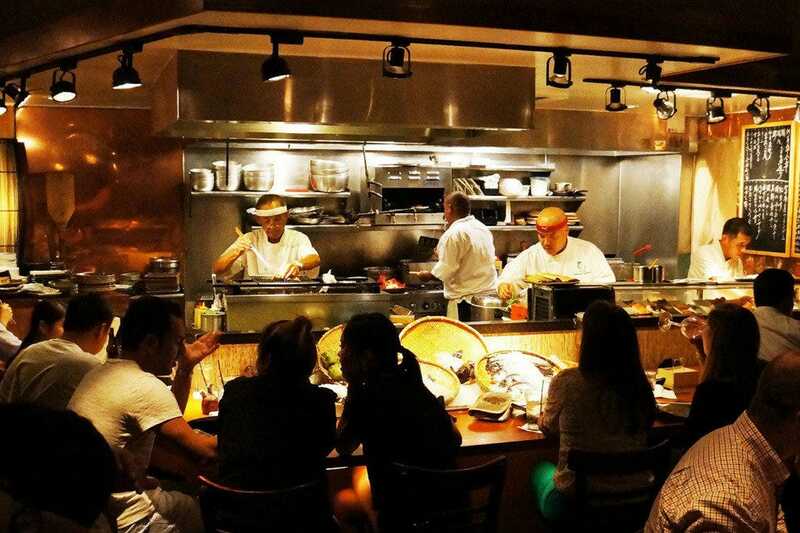 Tei Tei has been serving some of the best Japanese fare in Dallas since 1998. Which makes scoring a table difficult without a booking. But if you're lucky there may be a spare stool at the bar where you can watch the robata masters grilling up delectable offerings, most of which is shipped in daily from Japan. Hits include everything from grilled whole branzino and Washu steak to daily specials ranging from baby yellowtail collar to Iwashi sardines. 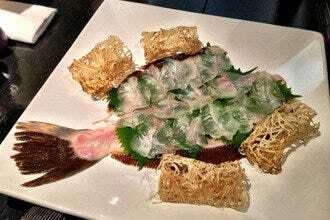 Along with charcoal and hot rock cooking, Tei Tei serves up a slew of raw options and exotic Japanese specialties. Be sure to give the saké list a proper look too, there are around 20 well-curated options to choose from. Since opening in late 2013, Allison Yoder and Stephen Rogers' charming Napa inspired restaurant has continued to be one the most sought-after reservations in town--and for good reason. 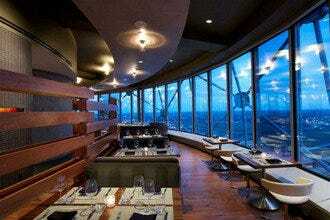 The restaurant is comfortably chic and the food is nothing short of spectacular. The menu showcases everything from wood-grilled Duroc pork chops with poached rhubarb to squid ink pasta with lobster, caviar and créme fraîche. Just as enticing are the late-night options which are offered from 10:30 to 1 a.m. when the restaurant is open. Not to be missed are seasonal cocktails: the passionate Peruvian, with strawberry and Thai basil infused Pisco Porton is worth coming in for even if you don't plan on having dinner.